Another Trump nominee raising eyebrows and concerns among drug reformers, Congress passes a health care omnibus bill that includes $1 billion for opioid treatment, Montana dispensaries are cleared to reopen, and more. Anchorage Gets Its First Marijuana Shop on December 17. Alaska's largest city will have a place to buy legal marijuana in less than ten days. Alaska Fireweed in downtown Anchorage has announced that it will open at high noon on December 17. Colorado Governor Aims to Rein In Home Pot Cultivation. Gov. John Hickenlooper (D) has told lawmakers he wants to reduce black market marijuana exports by imposing a 12-plant limit on grows at private homes, banning collective recreational grows, and imposing tighter restrictions on medical marijuana caregivers. It isn't going to happen without a fight, marijuana activists say. Vermonters Can Seek Pardons for Small-Time Marijuana Possession Convictions -- This Month Only. Governor Peter Shumlin (D) will consider pardoning Vermont convictions of possession for up to an ounce of marijuana, but people have to apply before the end of this month. The state decriminalized possession of less than an ounce in 2013. Seeking a pardon doesn't necessarily mean you'll get one, though. Click on the link to see the pardon form. Montana Judge Clears Dispensaries to Reopen. A district court judge in Helena has ruled that a wording error in last month's successful medical marijuana initiative should not keep sick patients from having access to the plant now. The initiative undid a 2011 law that largely undid the original 2004 initiative allowing medical marijuana, but late changes to the initiative resulted in new sections being added, which in turn resulted in a change in section numbering that unintentionally pushed back the date dispensaries could open. "The folks that are maybe the most in need are the least able to provide, to grow their own," the judge said in making his ruling. "I think speed is more important than niceties." Congress Passes Health Bill That Includes $1 Billion for Opioid Fight. The Senate Monday gave final approval to HR 34, an omnibus health care bill that includes $1 billion for expanded opioid treatment programs. The legislation now heads for the president's desk. Obama is expected to sign it. Trump Nominates Another Drug War Zealot to Head Department of Homeland Security. 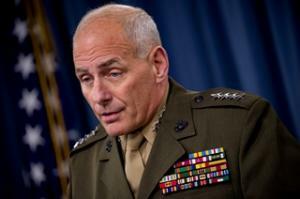 The Trump transition team has named General John Kelly to head the Department of Homeland Security. Kelly has said he believes marijuana is a gateway drug, that interdiction could be more efficient with increased funding, and that marijuana legalization sends a confusing message to Latin American leaders, among other things. "This is looking really bad," said Ethan Nadelmann, executive director of the Drug Policy Alliance. "First Sessions for Attorney General, then Price at HHS, and now yet another old-style drug war character for Homeland Security. It looks like Donald Trump is revving up to re-launch the failed drug war." Reeling from allegation after allegation of sexual misconduct, Republican presidential contender Donald Trump tried to go on the offensive on drug policy over the weekend, but in a manner typical of his campaign, he touched only briefly on the topic before flying off on new tangents, and he began his drug policy interlude with a bizarre attack on Hillary Clinton. 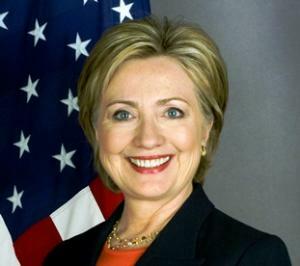 At a speech at a Toyota dealership in Portsmouth, New Hampshire, Saturday, the GOP candidate claimed that Clinton was on performance-enhancing drugs before their last debate and suggested drug tests were in order. "Why don't we do that?" he demanded, adding that Clinton was likely "getting pumped up" as the prepared for that debate. "We should take a drug test prior cause I don't know what's going on with her. But at the beginning of last debate, she was all pumped up at the beginning and at the end it was like, oh take me down. She could barely reach her car," he claimed. The claim didn't come out of nowhere. Trump was echoing an ad from two weeks ago from the pro-Trump super PAC Make America Number 1 that showed Clinton coughing and then stumbling to her van on the morning of September 11. The super PAC is bankrolled by Trump backer and big time conservative donor Robert Mercer, who dropped $2 million on the PAC in July. The unfounded allegation of Clinton pre-debate drug use and the demand for a drug test grabbed media attention, but if Trump was attempting to turn a corner and shift the campaign's focus away from his peccadillos, his strange accusation against Clinton only served to raise more questions about his temperament and suitability for the nation's highest office. And it virtually smothered any discussion of actual drug policy proposals Trump made during the speech. While Trump has obliquely addressed the heroin and prescription opioid problem in the past, Saturday's speech was the first time he tried to put any flesh on his proposals for dealing with it. If anyone were paying attention to the policy details amidst all the racket about the drug test challenge, they would have heard drug policy proposals rooted squarely in the failed drug war strategies of the last century. Trump would, he said, block drugs from coming into the US by -- you guessed it -- building the wall on the Mexican border. He would also seek to tighten restrictions on the prescribing of opioids. And he would reinstitute mandatory minimum sentences for drug offenders. "We have 5 percent of the world's population but use 80 percent of the prescription opioids," Trump said, eerily echoing former rival Jeb Bush, who used the same language while campaigning in the state earlier this year. That statistic is aimed at showing that the US is over-prescribing narcotic pain killers, but according to the World Health Organization, the actuality is that in much of the rest of the world, they are underprescribing them. In fact, the WHO said that in more than 150 countries with 83 percent of the global population, there is virtually no access to prescription opioids for relief of pain. And the under-treatment of chronic pain isn't just a problem in India or China or Africa. According to the National Institute of Health, more than 50 million Americans suffer significant chronic or severe pain. An opioid policy that focuses only on reducing prescriptions without addressing the need for access to pain killing opioids for actual pain is only half a policy. When it comes to the border, Trump correctly asserts that Mexico is the source of most of the heroin in the US (it produces 45% itself and another 51% comes from Latin America, mostly Colombia and Guatemala, often through Mexico), but relies on a hyper-interdiction policy ("build the wall") to thwart it. Interdiction -- blocking the flow of drugs into the country -- has been a pillar of US drug policy for decades, but despite massive border build ups and the doubling of the number of Customs and Border Patrol agents in the past 15 years, the drugs still flow. Interdiction hasn't done the trick so far, and there is no indication that even a Trumpian wall would make a difference. The creativity of drug smugglers is legendary, and the economic incentives under drug prohibition are great. As the saying goes, "Build a 50-foot wall, and they'll bring a 51-foot ladder" (or a tunnel). The third component of his drug policy is a Reaganesque "lock 'em up." In his New Hampshire speech, he saluted running mate Mike Pence for increasing mandatory minimums for drug offenders as governor of Indiana. "We must make similar efforts a priority for the nation," Trump said. That position flies in the face of a growing bipartisan consensus that the use of mandatory minimums for drug offenses is draconian, ineffective, and harms mainly minority populations. During the Obama administration, mandatory minimum sentences have been reduced with congressional assent, and Obama himself has granted commutations to hundreds of drug war prisoners serving those draconian sentences, with little dissent. Trump's drug policy is but a sketch, but even its vague outlines reflect outdated approaches to the issue and a quickness to resort to cheap demagoguery on the issue. Still, while there is plenty of room for discussion of his approach, Trump has apparently already left the issue behind, barely mentioning it since Saturday as he tilts at other windmills. Million dollar donations flow to the "no" forces in Arizona and Massachusetts, the Arizona initiative is in a dead heat according to a new poll, Donald Trump talks drugs and demands Hillary take a drug test, and more. New Arizona Poll Has Legalization in Dead Heat. A poll from Data Orbital released Friday has the Prop 205 legalization initiative in a statistical tie. The poll had support at 45%, with 44% opposed, 5% undecided, and, apparently, 6% unaccounted for. Pollster and political consultant George Khalaf said the "no" side was making gains because of heavy TV advertising in recent weeks. "It's not that good for a proposition to be this far below 50%," he said of the "yes" side. "It's not a great sign for legalization, unless they outspend (the 'no' side) in next few weeks or younger voters' turnout is larger than anticipated." Discount Tire Kicks in $1 Million to Defeat Arizona Legalization. The Scottsdale-based Discount Tire Company has contributed a million dollars to Arizonans for Responsible Drug Policy, the group leading the "no" campaign against Prop 205. The company is the largest privately held company in the state, and has also contributed to controversial Sheriff Joe Arpaio. The "no" campaign has also seen recent large donations from Empire Southwest for $200,000 and SAM (Smart About Marijuana) Action for $115,000. Delaware Poll Has Solid Majority for Legalization. A new poll from the University of Delaware's Center for Political Communication has support for marijuana legalization at 61%. Only 35% of respondents said they were opposed. The poll comes as state Sen. Margaret Rose Henry (D-Wilmington) says she plans to introduce a legalization bill when the legislature reconvenes. 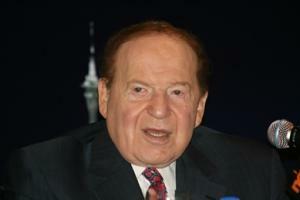 Sheldon Adelson Kicks in $1 Million to Defeat Massachusetts Legalization. Las Vegas casino magnate and ultra-conservative philanthropist Sheldon Adelson had donated $1 million to the Campaign for a Safe and Healthy Massachusetts, which is leading the opposition to the Question 4 legalization initiative. Even with the Adelson money, however, the "yes" side has out fundraised the "no" side by a margin of two-to-one. Yes on 4 has raised more than $3.3 million, while the opposition has raised only $1.6 million. Trump Talks Drug Policy, Demands Hillary Take Drug Test. Donald Trump sketched out a policy aimed at the heroin and opioid crisis during a speech in New Hampshire Saturday, but it was largely drowned out by his call for Hillary Clinton to undergo a drug test before their next debate. Trump said he suspected she was on something during the last debate. When it came to heroin and opioids, Trump said he would solve the problem by building a wall on the Mexican border, moving to reduce the prescribing of opioid pain medications, and resorting to mandatory minimum sentences for drug offenders. Scottish National Party Backs Medical Marijuana.Meeting at its annual national conference, the Scottish National Party backed the medicinal use of marijuana. The vote doesn't necessarily mean the Scottish government will adopt medical marijuana, and drug policy is an area specifically reserved to the UK national parliament, so that body would have to act as well. That nation's most populous state will vote on marijuana legalization in November, federal legislators keep fighting for medical marijuana access for veterans, a New Jersey needle exchange bill nears passage, the ACLU goes after the Border Patrol for abuses at interior check points, and more. 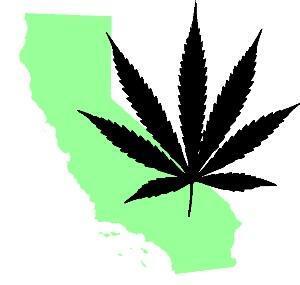 It's Official -- California Will Vote on Marijuana Legalization in November. A broadly-backed initiative to legalize marijuana in the country's most populous state will be on the California ballot in November. The secretary of state's office made it official Tuesday afternoon, certifying that a random sample of more than 600,000 signatures turned in showed there were enough valid signatures to qualify the measure. "Today marks a fresh start for California, as we prepare to replace the costly, harmful and ineffective system of prohibition with a safe, legal and responsible adult-use marijuana system that gets it right and completely pays for itself," said Jason Kinney, spokesperson for the Adult Use of Marijuana Act (AUMA). Eleven Lawmakers Ask House and Senate Leadership to Restore Medical Marijuana Language in VA Bill. The move comes after language allowing VA docs to recommend medical marijuana passed both the House and Senate, only to be mysteriously dropped in conference committee. "We feel the failure of the Conferees to include either provision is a drastic misfortune for veterans and is contrary to the will of both chambers as demonstrated by the strong bipartisan support for these provisions," the supporters wrote to congressional leaders on Tuesday. Among the signatories were Rep. Earl Blumenauer (D-OR) and Sens. Steve Daines (R-MT) and Jeff Merkley (D-OR). Other signatories to the letter, all Democrats, include Sens. Kirsten Gillibrand of New York, Barbara Boxer of California, Cory Booker of New Jersey, Tammy Baldwin of Wisconsin, Ron Wyden of Oregon, and Reps. Jared Polis of Colorado, Dina Titus of Nevada and Ruben Gallego of Arizona. Illinois Judge Orders State to ADD PTSD to Medical Marijuana List. A Cook County judge has ordered the state Department of Public Health to add post-traumatic stress disorder (PTSD) to the list of diseases eligible to be treated with medical marijuana. The sternly worded ruling also said the department's director, Niray Shah, an appointee of Republican Gov. Bruce Rauner, had engaged in a "constitutionally inappropriate private investigation" before deciding to rule against adding PTSD after the medical marijuana advisory board had recommended adding it. The court accused Shah of applying his own standard of medical evidence that "appears nowhere in the Act or the department's rules" and "was contrary to the plain language of the department's rules." Los Angeles County Extends Ban on Medical Marijuana in Unincorporated Areas. County supervisors voted Tuesday to extend by a year a temporary ban on medical marijuana cultivation and distribution in unincorporated areas. The county enacted a 45-day ban earlier this year and then extended it by another month before now extending it for another year. County planning officials said the ban was needed as they study how to regulate medical marijuana, but advocates retorted that the supervisors should concentrate on actually regulating the industry, not on extending bans. New Jersey Needle Exchange Bill Nears Passage. The Senate Monday gave final approval to a bill that would allow localities across the state to enact needle exchange programs. The Assembly is expected to approve changes in the Senate version of the bill Thursday. The measure, Assembly Bill 415, would then await the signature of Gov. Chris Christie (R) to become law. 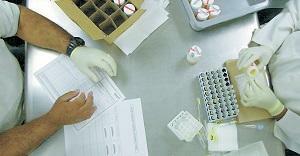 The state enacted a law allowing pilot needle exchange programs a decade ago. ACLU Accuses Border Patrol of Wrongful Detentions, Seizures The ACLU of Arizona Tuesday filed a formal complaint with the Department of Homeland Security and its constituent agency, US Customs and Border Protection, demanding an investigation into "abuses arising from Border Patrol interior operations." "At the same time the Justice Department and the Obama administration are rightly urging local police to adopt 'best practices' -- ending racial profiling, collecting stop data, and curbing police militarization and asset forfeiture abuses -- we see the nation's largest law enforcement agency, CBP, rejecting those commonsense reforms," said James Lyall, a staff attorney with the ACLU. "The federal government is effectively saying, 'Do as I say, not as I do,' which leaves Border Patrol free to target citizens and non-citizens alike with these increasingly extreme and abusive practices." 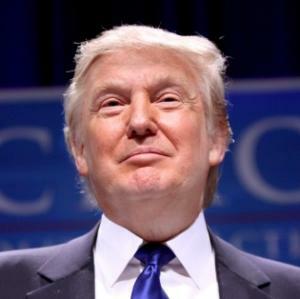 The Donald returns to one of his favorite themes, Arizona legalization initiative organizers have hit the 200,000-signature mark (they need 150,000 valid ones), patients in New York protest that state's restrictive medical marijuana law, Western Australia wants to force meth users into drug treatment without having to convict them of a crime first, and more. Arizona Legalization Initiative Signature Drives Passes 200,000 Mark. The Campaign to Regulate Marijuna Like Alcohol in Arizona announced Tuesday that it has collected more than 200,000 raw voter signatures for its legalization initiative. The group needs 150,564 valid voter signatures by July to qualify for the November ballot.Having 200,000 raw signatures at this point means that a full quarter of them would have to be disqualified for the initiative to come up short--and it still has time to gather more. Colorado Bill to Allow Medical Marijuana at School Moves. A bill that would require schools to allow students to use medical marijuana on campus has passed its legislative hurdle. House Bill 1373 was approved 10-3 by the House Agriculture, Livestock and Natural Resources Committee and now heads for a House floor vote. State law already gives school districts the power to allow the use of medical marijuana under certain circumstances, but no district has done so. New York Patients, Families Rally in Albany to Demand Fixes for State's Medical Marijuana Law. Dozens of advocates gathered in Albany Tuesday to urge legislators to support a slate of bills that would amend the Compassionate Care Act, New York’s medical marijuana law. The law, which was passed in June of 2014, took eighteen months to implement and has been criticized for being one of the most restrictive and burdensome programs in the country. Launched in January of this year, to date, only 494 of the state’s 79,000 physicians have agreed to participate and only 2,390 patients have been certified by their doctors to enroll in the program. This lackluster start is likely due to a number of barriers and restrictions in the program that make it both difficult and unappealing for physicians and patients to participate. Trump Blames Mexico for America's Drug Problems. Returning to one of his favorite themes—Mexico bashing—GOP presidential contender Donald Trump Monday warned that drugs from Mexico are "pouring into the country" and "poisoning our youth." His comments came as he defended his plan to build a border wall and make Mexico pay for it. The US trade deficit with Mexico is $58 billion a year. "And that doesn’t include the drugs that are pouring into the country poisoning our youth," Trump added. "They’re poisoned with this crap. People won’t be driving their pick-up trucks through the wall or over the wall, he added. Did you ever see that? The trucks go over, they unload the drugs and then they go back. So we get the drugs and they get the money. Not very good folks. That’s going to all change." French Minister Reignites Marijuana Legalization Debate. A French junior minister, Jean-Marie Le Guen, secretary of state for relations with parliament (and an MD) has reignited discussion of marijuana law reform there by saying "prohibition is not effective" and that a public health approach was needed. Le Guen clarified that he was not speaking for the government, but said the subject should be debated by the next president. His remarks did not go over well with drug reform-averse French politicians, including his fellow governing Socialists. "And what will we do tomorrow? Will we legalise cocaine and weapons because we cannot stem the flow of weapons? That's not serious!" retorted Socialist Senator Samia Ghali. A spokesman for the government added that the Socialist Party was free to debate the issue, but the government isn't interested "neither in work nor thought." Victoria Becomes First Australian State to Legalize Medical Marijuana. The state Parliament has passed the Access to Medicinal Cannabis Bill, making Victoria the first state in the country to approve medical marijuana. State Health Minister Jill Hennessey said children with severe epilepsy will be the first to be able to access the medications next year. The state government will set up an Office of Medicinal Cannabis to regulate the industry and educate patients and doctors about their roles and eligibility to prescribe or use medical marijuana. Western Australia Wants to Subject Meth Users to Forced Detention, Treatment. The state's Mental Health Minister, Andrea Mitchell, said forcing meth users into drug rehab was the way to deal with the state's growing number of them. "I've got a responsibility to balance the rights of the individual with also protecting the community, and I need to do that with the burglary and the assaults and the other side of things that do tend to happen with people with a meth problem," she said. "And I also have a duty of care to protect that individual and give that individual the best possible chance of coming out of that and being a responsible citizen." The scheme would require legislative changes to allow the state to hold against their will people who have not been convicted of any crime. California's leading legalization initiative is one-quarter of the way home, Tampa is the latest Florida locality to decriminalize pot possession, the Canadians wake up the Commission on Narcotic Drugs with a very reform-oriented speech, and more. Canada came out strong for harm reduction and marijuana legalization at the Commission on Narcotic Drugs in Vienna this week. California AUMA Legalization Initiative Has 25% of Needed Signatures. The Adult Use of Marijuana Act (AUMA) initiative has accumulated nearly 100,000 signatures since petitioning began in January. It has until July 5 to turn in a total of 365,880 valid voter signatures to qualify for the November ballot. While other initiatives are out there, this one, supported by tech billionaire Sean Parker and Lt. Gov. Gavin Newsom (D), is the one most likely to have the dollars behind to actually make the ballot. Tampa Decriminalizes Pot Possession. The city council has passed an ordinance that decriminalizes the possession of up to 20 grams of marijuana. The move was supported by the mayor and the police chief. Now, possession will no longer be a misdemeanor, but will be a civil infraction punishable by a $75 fine for a first offense, $150 for a second, and $450 for any subsequent offenses. Tampa now joins a number of South Florida localities that have decriminalized, as well as Central Florida's Volusia County. New York State Senator Unveils Medical Marijuana Expansion Package. State Sen. Diane Savino (D-Staten Island) has introduced a package of bills—Senate Bills 6998, 6999, and 7000—designed to expand the state's constricted medical marijuana program. One bill would allow nurse practitioners to recommend medical marijuana, another would allow the five organizations licensed to grow and sell medical marijuana to double the amount of dispensaries they can open from four to eight, while another would expand the conditions for which marijuana could be recommended. Denver Cops Instructed to Not Punch Suspects Believed to Be Swallowing Drugs. The Denver Police Department's Office of the Independent Monitor recommended Tuesday that the department adopt new policies to provide guidance to officers when they arrest a suspect believed to be trying to swallow the evidence. "The OIM recommends that the DPD revise its Use of Force Policy to provide specific guidance on what types of force are permitted, and prohibited, to remove potential contraband from the mouths of persons being placed under arrest. The OIM further recommends that this revised policy prohibit the use of strikes to force persons being place under arrest to spit out potential contraband," the report reads. The recommendation comes in the wake of a widely-decried 2014 incident in which an officer was recorded repeatedly punching a man who was allegedly trying to stuff a heroin-filled sweat sock into his mouth. Groups File Brief Seeking Reduction in Life Sentence for Silk Road's Ross Ulbricht. The Drug Policy Alliance (DPA) filed an amicus brief Thursday urging the US 2nd Court of Appeal to reduced the life without parole sentence meted out to Ross Ulbricht, who was convicted of operating the Silk Road drug sales website. Joining DPA in the brief were Law Enforcement Against Prohibition, JustLeadershipUSA, and retired federal judge Nancy Gertner. "Mr. Ulbricht’s draconian sentence flies in the face of evolving standards of decency," said Jolene Forman, Staff Attorney at the Office of Legal Affairs for the Drug Policy Alliance and lead author of the brief. "Nationally, lawmakers are working across the political aisle to reduce harsh sentences for drug offenses. And, many of our allies in Europe consider life without parole sentences inhumane." 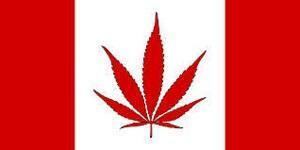 Canada's New Liberal Government Wakes Up the Commission on Narcotic Drugs Meeting. A speech from a Canadian representative at the Commission on Narcotics Drugs (CND) meeting in Vienna this week was met with eruptions of applause from the audience after the speaker, Assistant Deputy Minister of Health Hilary Geller, made clear that the Liberals were embracing harm reduction, including safe injection sites, and marijuana legalization. Geller's speech not only contrasted sharply with the previous Conservative government's anti-drug reform positions, but also with the cautious pronouncements made by other nations. 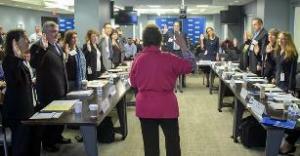 At the end of the speech, the audience of government officials and NGO leaders gave Geller a standing ovation. 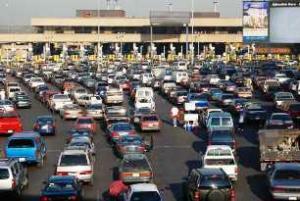 Mexico Captures Cartel Leader Tied to Border Shootouts. After a bloody weekend in Reynosa, where at least a dozen people were killed in clashes between cartel gunmen and soldiers and cartel gunmen set up burning street barricades, federal police Monday captured the Gulf Cartel leader who was allegedly the target of the federal action on the border. The man arrested is Cleofas Alberto Martinez Gutierrez, who officials said was the cartel's number two boss in Reynosa. They found him at a Mexico City race track. With the New Year, the Obama administration has unleashed a new campaign of Immigration and Customs Enforcement (ICE) raids targeting Central American women and children who fled to the US in 2014 to escape violence in their home countries. Some 17,000 are at immediate risk of being dragged from their homes and families and being detained and deported. "Our borders are not open to illegal migration; if you come here illegally, we will send you back consistent with our laws and values," Homeland Security Secretary Jeh Johnson said in a statement announcing the action. Some 121 people were arrested in raids last weekend, Johnson said, with many of them housed in euphemistically named "family residential centers" before their imminent deportation. The raids took place in Georgia, North Carolina, and Texas. Johnson's statement noted that back in November, the administration had broadened its deportation actions beyond "criminals and threats to public safety" (including at least 250,000 people deported for drug offenses) to include those who threaten "border security" by having arrived uninvited after January 1, 2014. The administration signaled last week that the raids will continue despite a growing outcry from some Democrats, progressives and immigrant rights groups. Democratic presidential contenders Bernie Sanders and Martin O'Malley both railed against the raids, with Sanders saying that while he is an ally of the president, "I don't agree with him on this," and O'Malley decrying them, saying "Jesus himself was a refugee child." Protestors gathered in Boston Friday for an event organized by the Massachusetts Immigrant and Refugee Advocacy Coaltion (MIRA) echoed complaints being heard around the nation. "I came to this country fleeing the terror of the Pinochet military dictatorship in Chile," said the Unitarian Universalist Rev. Maria Cristina Vlassidis Burgoa. "I know what it's like to be 12 years old and to live in fear that at any moment, an unmarked car will stop at your house and take your family away one by one. I know what it's like to fear that you will be the next one to disappear. My grandmother, my mother, and I were fortunate to find refuge here and build a life. Today, as a US citizen I denounce the massive deportations and raids as a violation of human rights." "The home raids that terrorize the community, separate families, and wake up sleeping children must stop. Arresting, detaining, and deporting them is not the answer," said MIRA executive director Eva Millona. "Such crisis requires compassion and humane solutions." Those would include letting them stay in the country under Temporary Protected Status and Deferred Enforced Departure. The latter is the program that allowed Obama to regain some favor with the immigrant community when he used it to ensure that some five million young people whose parents brought them into the country illegally -- the Dreamers -- would be allowed to stay. The people being targeted now are part of the 100,000 or so children and parents who fled gang violence in El Salvador, Guatemala, and Honduras during the immigration "crisis" of 2014, when the specter of masses of Central Americans coming to the border and turning themselves in to seek asylum temporarily focused the nation's attention -- and the Republicans' ire -- on the issue. Amid predictable calls for more walls, more border agents, and immediate deportation, many of the asylum-seekers were placed in "family detention centers," but others were released, often with GPS ankle bracelets. The vast majority were processed without legal counsel and without any real understanding of the legal proceedings that would determine their futures. The people being targeted now are those whose asylum applications were rejected or those who, for one reason or another, failed to show up at immigration hearings. The cruel irony of the situation is that it is US policy to deport these people back to countries wracked by poverty and violence that is due at least in part to other US policies -- the imposition of US-style drug war on the region, and even earlier, Ronald Reagan's anti-communist crusade to thwart the region's leftist revolutionary movements in the 1980s. 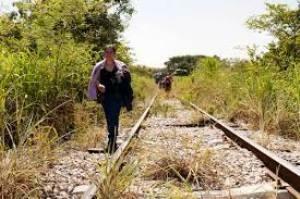 US policy helped to push these people out of Central America, and now US policy is to push them back in. The US can't be blamed for all the woes of Central America, of course, but it has certainly been a contributing factor. The violent gangs that have helped turn the region into one of the deadliest on the planet, such as Mara Salvatrucha, Barrio 18, evolved in Salvadoran immigrant communities in cities like Los Angeles, Chicago, and Washington, DC, after hundreds of thousands fled the violent civil war in which Ronald Reagan and US taxpayers spent $4 billion to ensure that leftist revolution was neutered. Some 75,000 people died in that conflict. After the young Central American immigrants learned the fine art of gang-banging up north, deported gang members brought those skills back with them to the old country, laying the groundwork for the emergence of increasingly powerful and deadly street gangs, particularly in El Salvador and Honduras. And, thanks to the "success" of the Reagan administration in shutting down Caribbean cocaine smuggling routes into Miami in the early 1980s, the new deportees came home to countries increasingly awash in cocaine as Colombian smugglers began using the region as a trampoline, a transshipment point for drugs headed on to Mexico before reaching their ultimate destination in the US. "Drug prohibition makes drug transshipment very lucrative for organized crime," said Adam Isacson, a drug policy analyst with the Washington Office on Latin America. (WOLA). "US efforts to interdict aerial and maritime drug shipments in the Caribbean in the 1980s and 1990s caused more and more cocaine to pass through Central America, a region recovering from civil war." Another drug war "success" also had ramifications for the region, Isacson said. "The mid-90s takedown of the big Colombian cartels -- the Medellin and Cali cartels -- gave more market share to the Mexican organizations, which relied more heavily on Central American territory," he explained. "The groups transshipped drugs through Central America further corrupted and undermined already weak security and judicial institutions," Isacson continued. "And that made those institutions less able to protect their citizens." And more vulnerable to hyper-violent Mexican drug trafficking organizations, such as El Chapo Guzman's Sinaloa Cartel and the Zetas, who began expanding their presence in Central America as they came under pressure from Mexican authorities, bolstered by US anti-drug assistance, at home. Now, Central America is one of the most violent regions in the world, and El Salvador has the highest murder rate the world has seen in 20 years, taking the dubious title of world's murder capital from neighboring Honduras, which claims an official decline in murders this year. Some observers are skeptical. Jeannette Aguilar, director of Institute of Public Opinion at the Central American University in El Salvador, told USA Today the apparent reduction could be artificial because the cartels have learned that too many bodies is bad publicity and have become adept at disposing of them. "Because of the evolution of dismembering bodies, decomposing them, incinerating them, it's difficult to know if homicides have really fallen," she said. The American policy response to violence, much of it drug trade-related, and social decomposition has historically been heavy on assistance to the military and police forces, like the Central American Regional Security Initiative, but that looks like it is finally beginning to change this year. Just last month, Congress approved $750 million in aid for the region that shifts the focus away from security initiatives and instead targets structural issues that have crippled the region. The bill stipulates that 75% of the funds can only be spent after government take on issues of corruption, transparency, immunity, and criminality. Equally important, it calls on regional governments to "support programs to reduce poverty, create jobs, and promote equitable economic growth in areas contributing to large numbers of migrants." It will be up to the governments of those countries to try to make progress in alleviating the conditions causing so many to flee, but as our policy-makers decide the fates of the people who have already sought refuge here, they would be remiss to ignore our own role in helping this crisis to happen. In Camden, New Jersey, a Camden County jail guard was arrested last Wednesday on charges he used a law enforcement secure database to unlawfully get information about a drug investigation. Jamall Danford, 39, is charged with second degree official misconduct and was jailed on $75,000 bail. In Hebronville, Texas, a Border Patrol agent was arrested last Thursday on drug possession charges that have now morphed into murder charges. Agent Joel Luna was arrested after a raid on a relative's house turned up drugs, guns, and $90,000 in cash. 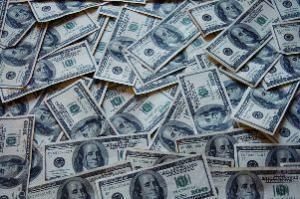 Investigators say he took bribes from the Gulf Cartel to wave through vehicles carrying drugs. He now also faces capital murder and organized crime charges after being linked to the mutilation murder of Jose Francisco Palacios Paz, whose decapitated body was found floating in Laguna Madre Bay in March. In Live Oak, Florida, a state prison guard was arrested last Thursday on charges she smuggled drugs into the Suwannee Correctional Institution. Guard Alice Edwards faces felony counts of introducing contraband into a state correctional institution and unlawful compensation by a public official. In Ashville, Alabama, a state prison guard was arrested Tuesday for allegedly trying to bring drugs into the St. Clair Correctional Facility. Guard Stacy Bernard Brown is charged with promoting prison contraband, possession of marijuana, and possession of a controlled substance. He was arrested at work and taken from the prison to the St. Clair County Jail. Internationally acclaimed novelist Don Winslow's The Cartel, a hard-hitting and gut-wrenching tale of the Mexican drug wars, hit the stands late last month and is currently #17 on the New York Times best seller list. A sequel to his best-selling novel of the cartels, The Power of the Dog, Winslow's latest effort is a true-to-life, ripped-from-the-headlines story of power, greed, corruption, brutality, revenge, and justice set in the past decade of spiraling prohibition-related violence in Mexico. Roughly 100,000 people have been killed in Mexico's drug wars since 2006, and another 20,000 or so have simply vanished. That blood-drenched history is the spindle from which Winslow unspools his story, featuring a veteran DEA agent locked in a decades-long feud with the head of the world's most powerful cartel. It's a grim, nail-biting crime thriller. But Winslow, who also authored 2012's Savages, another fictional treatment of the cartels turned into an Oliver Stone movie, isn't just writing for the sake of selling books. He has used the publication of The Cartel to pen op-eds calling the war on drugs a counterproductive failure and publish a full-page ad in the Washington Post telling Congress and the president "It's Time to Legalize Drugs." DEAN BECKER: Hello, dear listeners, this is Dean Becker and I want to thank you for joining us on this edition of Cultural Baggage. Well folks, I've been enjoying this new book, it's a powerful indictment of this war on drugs, it's written by the author Don Winslow, the name of the book is The Cartel, and we have him with us today. Mr. Winslow, your book is a powerful indictment of the futility of this drug war, and first off, I just want to thank you, sir. DON WINSLOW: Well, thank you, sir, for that kind comment, and I appreciate it. DEAN BECKER: Now, with the release of this book you also took out a full-page ad in the Washington Post decrying that futility and calling for the powers that be to take another look at the results of this drug war, and once again, I commend you, sir. DON WINSLOW: Well, thank you. You know, I felt it was important to do something like that. At the end of the day, I'm a novelist and I write fiction, and I'm an entertainer, at the same time we're dealing with obviously serious issues that have had serious consequences on so many people in the United States, but of course particularly in Mexico. And so I just thought that I should try to do something. DEAN BECKER: Now, Don, The Cartel, this new book, it's a follow-up to The Power of the Dog, and I think much of your similar or previous writings, and it continues the story of Agent Keller and a couple of others from that first book, but it's more, it's much more, and would you please just kind of give us a summary of your new book, The Cartel. DON WINSLOW: Well, yes, thank you. The Cartel as you said is a follow-up to a book I did ten years ago called The Power of the Dog, which follows a DEA agent named Art Keller, who arrives in Mexico in the 70s full of idealism, and is over the years sort of schooled out of that by reality. But, he ends up in a vendetta with a drug lord, if you will, named Adan Barrera. And, so The Cartel continues that story. But, you know, it's not a book I really wanted to write, Dean. I really fought against writing it for a long time, but as things spiraled out of control in Mexico, you know, far beyond our worst nightmares, really, and I thought, well, I'll try a in fictional sense, you know, to crime readers, to try to explain what was going on down there. DEAN BECKER: Well, a few years back I took a one-day junket into Ciudad Juarez, and the machine gun nests in the city park, cops on every street corner -- I didn't see the violence myself, but it was palpable, it was, it was, just -- scary, for lack of a better word. Your thoughts, sir. DON WINSLOW: Well, you know, the estimates vary of course, but during this era something like 100,000 Mexican people were killed, 22,000 missing. Juarez and Nuevo Laredo, and Tijuana, and the Frontera Chica, and the Texas border -- you know, all became battlegrounds in a multi-fronted war, cartel versus cartel. The military versus the cartels, the military versus the police, certain police forces versus other forces, and of course, you know, many, too many, innocent civilians got caught in the crossfire. DEAN BECKER: Now, Don, you state in your acknowledgements that The Cartel draws deeply on real events, and I see many of them, I've been following the war in Mexico for several years, and it just seems that, you know, it made it more compelling to be based on a true story, so to speak. DON WINSLOW:I'm an historian by training and inclination, and so I usually like to keep my stories pretty, pretty close to the bone. But I think that in a way, novelists can do things that journalists aren't allowed to. You know, we're allowed to imagine the inner life of characters, we're allowed to make up dialogue that perhaps brings out some of these events in a maybe more visceral way to readers who might not, you know, pick up a piece of journalism on this subject. And so, I like that combination between fiction and reality, and as long as I sort of keep their thoughts and their emotions fairly realistic, I think the novel can work well for that. DEAN BECKER: Now, Don, back in 2012, with my group Law Enforcement Against Prohibition, I rode across the country with Javier Sicilia and about a hundred family members of those butchered in Mexico on the Caravan for Peace, and most of them were women who had these horrible stories that made me cry every night, I'll be honest with you. And your book includes the stories of some of these women, and the pain and misery they endure as well. DON WINSLOW: As you know when you deal with this topic, it's all too easy to lose your faith in humanity. But, in researching the stories and writing the stories about some of these women, it's awe-inspiring. You know? There's no other word for it. The courage and the moral fortitude, and I think in the video I saw of the Caravan, the word grace is used, and I think that that might be absolutely the perfect word to describe these women, who have lost so much and have moved ahead and have moved on and tragically, you know, too often at the cost of their own lives. DEAN BECKER: It seems that media everywhere is starting to recognize this futility of the drug war, and is starting to expose it for what it is, and that is hopeless. DON WINSLOW: We've been doing the same thing for coming on now 45 years, and not only is it not working, it's made things worse. Drugs are more plentiful, more potent, cheaper than ever, and again, it's had a hideous effect on American society in terms of the number of people we imprison, in terms of the alienation of our police forces with our inner city communities. I think the militarization of police really began with the war on drugs, and of course, it's had the worst effect on the people of Central America, particularly Mexico. So, if something after 45 years has not improved a situation, but made things worse, then I think it's time that we looked at different solutions. DON WINSLOW: And I think that that's pretty obvious, really. The face of the cartels. 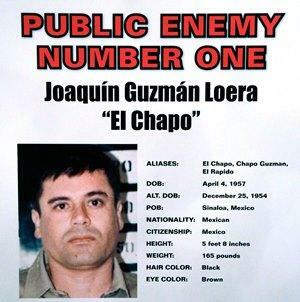 Has anyone seen El Chapo? DEAN BECKER: Yes, sir. If you will allow me, I want to read just a paragraph here from your book, this is from Alvarado. He states: "You North Americans are clean because you can be. That has never been a choice for us, either as individuals or a nation. You're experienced enough to know that we're not offered a choice of taking the money or not, we're given the choice of taking the money or dying. We've been forced to choose sides, so we choose the best side we can and get on with it. What would you have us do? The country was falling apart, violence getting worse every day. The only way to end the chaos was to pick the most likely winner and help him win, and you North Americans despise us for it. At the same time you send the billions of dollars and the weapons that fuel the violence. You blame us for selling the product that you buy. It's absurd, John." DON WINSLOW: I don't know how to respond to my own writing. I think it's the truth. Couple of thoughts: You know, we're very good up here at wagging the finger of corruption at Mexico. Is there corruption in Mexico? Of course, and I write a lot about it. I'm not alone in that. But as that passage indicated, what we don't understand is that police and journalists and average citizens are not offered the choice: take the money or leave it. They're offered the choice: take the money or we kill you. And very often, or we kill your family.And you know, the so-called Mexican drug war is one of the most tragic misnomers of the last half century. It's not the Mexican drug problem; it's the American drug problem. We're, we're the buyers, and it's the simultaneous appetite, American appetite for drugs and prohibition of them that creates the power of the cartels and that shields this violence. And, if I were on the other side of the border looking north, I'd talk about corruption, I would ask what kind of corruption exists in American society that makes you Americans the largest drug market in the world? At a rate of five times your population. DEAN BECKER: And the world's leading jailer. DON WINSLOW: The world's leading jailer. Not only the world's leading jailer, Dean. 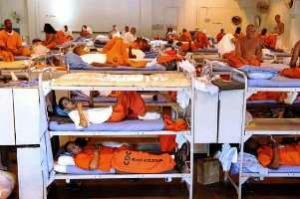 In the history of the world we have the largest prison population. DEAN BECKER: Kind of tied in with your action to do that full-page ad in the Washington Post, I tried last summer to wake up our nation's leaders with release of my book. We hand-delivered a copy of my book to the president, his cabinet, every senator, representative, all nine Supreme justices, and we mailed a copy to all fifty governors, to pretty much little avail. And I'm hoping that your book lights a bigger bonfire on their conscience. DON WINSLOW: Well, thank you, I hope so too. You know, I deliberately put that ad in the Washington Post in order to do it in Congress's home town, hoping that that paper would arrive on their desks with their coffee. I think that ad was two weeks ago or three weeks ago, I don't remember, it's been a little bit of a blur, you know, I'm out on a book tour. But, I've not heard from a single politician. Who I have heard from? Cops. DEAN BECKER: What was their response? DON WINSLOW: Agreeing with it. DEAN BECKER: Well, that's good to hear. I mean, it puzzles me that the evidence is so glaring, we can cut down on death, disease, crime, and addiction were to legalize and control it for adults, but no one wants to talk about that. Certainly not at the presidential level. DON WINSLOW: Well, you know, I think, Dean, for so many years it's been the fourth rail of American politics. You know, you start talking about a sane drug policy and your opponent then starts talking about you being soft on crime, and, you know, oh he wants our kids to have access to dope. Which of course they do now, because it's not working. What I would like is some politician to stand up and talk back with the facts. The numbers are there, the solid data are there. If you want to talk about being soft on crime, I would say that the fact that 60 percent of rapes and 40 percent of murders now go unsolved, because we're so focused on busting drugs. To me, that's soft on crime. And I think police want to go back to doing real police work. DEAN BECKER: I'm with you, sir. Now, it seems like every week I see another headline about another bust of a quote top narco-trafficker, but the fact is, it's just a chance for another corn farmer to get down off the tractor and attempt to become a billionaire, isn't it? DON WINSLOW: Listen, it's never worked. We have tried to attack the drug organization pyramid from the bottom, the street-level kids selling crack on the corner, to the middle, the traffickers coming across the border, to the top, going after these top drug lords. None of these strategies work because the amount of money they can make is so great that there is always someone willing to step into any of those roles. So, you know, there was great celebration when for instance Chapo Guzman was captured. That's fine, I have no tears for Chapo Guzman, I'm glad he's in prison, I have no tears for any of these drug lords who've been killed by the police. However, it makes no difference. Nothing was disrupted, nothing was even slowed down. The drugs just keep coming. The strategy does not work. And as long as we approach this as a law enforcement problem or god help us a military problem, we're, the same thing is going to on and on and on. DEAN BECKER: You know, a couple of portions of the book touched me deeply. One was about the old farmer, Don Pedro, and his battle for his ranch with the Zetas. That one made me cry, I'm an old man, I'm sorry, and it just made me think of, you know, these bandits, these rapscallions, what they're up to, the Zetas. Would you talk about that situation? DON WINSLOW: Well, you know, that is based on a real incident. It was impossible to resist writing about it, but, you know, I think there are two parts to your question, so let me take the first one first. Back in, you know, 2010, '11, and '12, various cartels were forcing people off their land because either it was strategically located along the border or just because they could. The Zetas that you mentioned were looking for land for training camps and secret bases, and they were all-powerful, or so they thought, and they could just go tell people, get out. In northern Chihuahua, along the Texas border, the Sinaloa Cartel was fighting the Juarez Cartel, and they were literally colonizing the area. They were telling, you know, people in that area, in the Juarez Valley that had been there for generations, to get out, and moving Sinaloans in, almost like colonists, in order to secure that area. Who's on first now? Without a doubt the Sinaloa Cartel. They're the dominant cartel in Mexico now. They basically won the war. There's a sort of an upstart cartel, the new generation Jalisco Cartel, and we're in a bit of a lull, but that's about to collapse. You know, over the past month or so violence has drastically increased again in the Tijuana area. So, stay tuned. DON WINSLOW: That sounds familiar, that video. DEAN BECKER: Oh god. And, my Spanish was not good enough to understand all they said, but it was a strong message, for sure. DON WINSLOW: You know, lately we've been as a nation very absorbed with ISIS, and those videos, and they took that page out of the cartel playbook. What you're looking at is basically terrorism in Mexico. And, you know, the cartels are in the territory business, they need to control territory, and to do that, they need to control the population. And they do it through a variety of methods, but one of them is terror. And, and when they put out videos like that, they are really saying to the people, you don't want this to be you. The Spanish that is being spoken in many of these videos is to get these people to confess their roles in the rival cartel, sometimes to confess their crimes because these videos are also a means of propaganda, and a means of the cartels justifying, or attempting to justify, the horrors that they commit, in a very similar way to the ISIS videos. The really sad aspect, or more tragic aspect of these videos, is that they're used as tools of recruitment. Particularly young people, both men and women, see these videos, and see them as demonstrations of power. And I think that there are few things more seductive to people who see themselves as powerless than to see power, and just as the ISIS sadistic videos have been great recruiting tools for ISIS, the videos that you alluded to have been recruiting tools to the cartels. DEAN BECKER: The hundred thousand dead, approximately, the 20,000 missing, the tens of thousands of children without parents -- it's just so enormous, and yet somehow it's ignored. That doesn't count in the US's drug war equation. DON WINSLOW: The modern day Mexican drug war, the contemporary period that we're looking at, coincides almost exactly with the post-911 era. And I think that the United States has been, and it's understandable, Dean, because of 911, because of the lives lost, because we've had people in Iraq and Afghanistan, and our soldiers dying and wounded, we have been obsessed with, and most of our attention has gone to the Middle East. That, that's understandable, I think. I'm not saying it's right. I'm not saying it's good, but I think that, that people can only absorb so much violence and sorrow and tragedy. I think though that the other part of the equation is that, that we don't want to look at it down there. It's something we don't want to see because I think on some level we are aware of the role that we play in it, and our own responsibility for it, and I think that that can be a hard mirror to look into. And sometimes people, and particularly our politicians, frankly, would rather look away. DEAN BECKER: It kind of draws a parallel with the cops busting somebody and accusing them of being the cause of the problem here in the US -- if they weren't buying drugs then these other situations would not occur. But the same could be said about the US and as you stated earlier, our addiction to these drugs coming through Mexico. DON WINSLOW: I think we are addicted to the drugs. Now obviously, we have a population in the United States that is literally addicted to drugs. The percentage of that never changes very much over the years. There are some spikes with certain drugs at certain times, but the level of drug addicts remains about the same, that's sort of one topic. The other topic is recreational drug users, and they need to look at their responsibility. I can't understand for instance why a person who would be so concerned about buying free trade coffee or fair trade coffee would then think nothing of buying marijuana that has blood all over it. You know? I don't understand people who go out and protest against big business but then will come back and buy a product that's been shipped to them by a cartel that tortures and slaughters and rapes. This makes no kind of moral sense to me. So, in my perfect world, all drugs would be legal and no one would use them. But certainly, in the time until the United States straightens out its drug laws, until we've stopped forcing the hands of these sadistic criminals, I'd love to see a movement where particularly young people in America boycotted these drugs, the way they boycott other products. DEAN BECKER: The book was a follow-up to Power of the Dog, and it seems that there may be, as you mentioned earlier, a need for another book in this series, if Los Pinos and the White House continue to believe this drug war to be necessary. DON WINSLOW: It's my fondest hope and prayer that there's no need for a third book. I would love it if Los Pinos and the White House took me out of this business. I don't have plans to write another drug book, you know, next or for a few years, but then I'm really hoping at that point when I look around this landscape that we have come to some sort of sanity, and some sort of wiser policy, and that there's no need for a third book. DEAN BECKER: Well, me too. I'm keeping my fingers crossed and deep prayer in that regard. Well, Don, here's hoping we can continue this discussion again soon and that just maybe, the politicians will read your book and pull their heads out soon. Is there a website, some closing thoughts you'd like to share with the listeners, Mr. Don Winslow? DON WINSLOW: I have a website, DonWinslow.com, and, you know, always happy to hear from anybody. I have been very encouraged over the past two weeks by the number of police officers and DEA people that have contacted me. And I think there is a little momentum right now. You know, yesterday the United Methodist Church came out calling for war, an end to the war on drugs, addressing Congress. So I think that there might be a little bit of a groundswell, and I'm going to choose to go with that optimism. 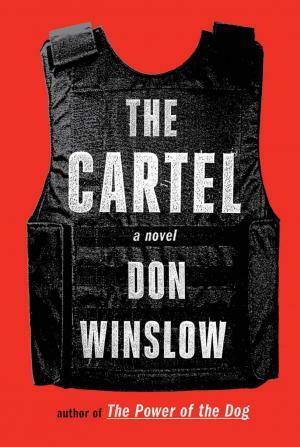 DEAN BECKER: Once again, I want to thank Don Winslow, author of The Cartel.